A blog about computers, networks, and peripherals used in a small business or development lab environment to support the development of nano devices and systems. Ken Shirriff's blog has posted an article about the Intel 8087 Floating Point Coprocessor Chip. 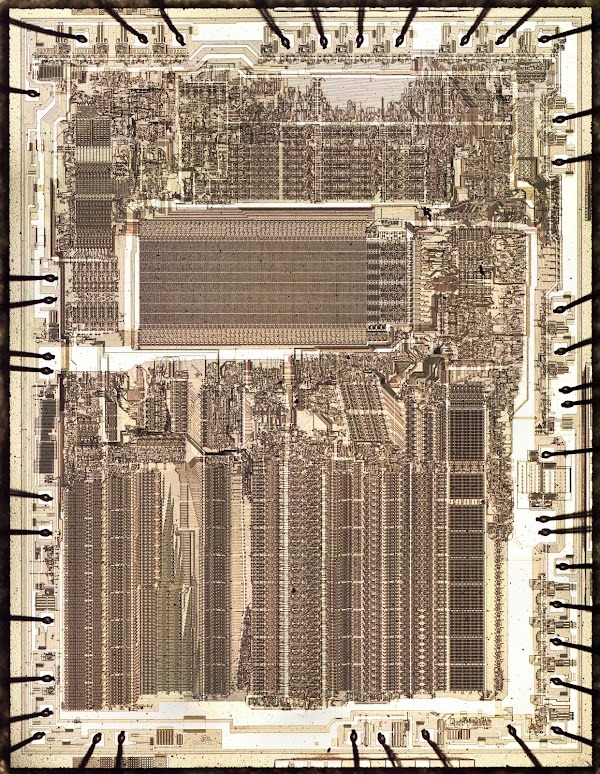 The coprocessor was introduced in 1980 to improve floating point computation speeds of the 8086 and 8088. The architecture was incorporated into the x86 design and is still in use. The 8087 was built using 3 um technology and could perform around 50k FLOPS. Backblaze has released some new data on hard disk drive failures. Data is shown for drives from four manufacturers, 61,523 drives, and something around 1 billion hours of operation as stated in the article but I can't verify this from the table. Data from Backblase, again, does not seem to be all that useful because a careful description of the data is missing. Turbo Processing Unit (TPU): Sets CPU frequency, cache, core frequencies, DRAM frequency, and related voltages for performance and stability. 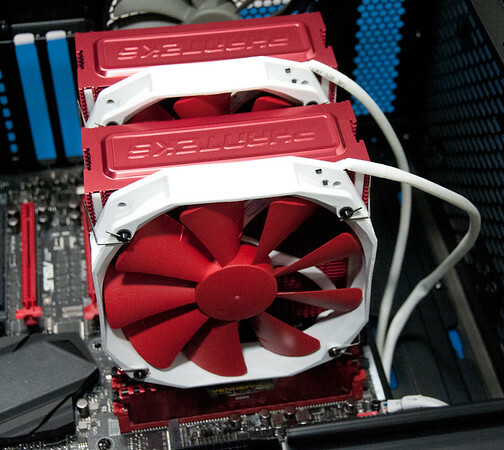 FAN Xpert 3: configures the fans using PWM or DC operation to create the best cooling profile. DIGI+ Power Control: Configures the processor digital Voltage Regulator Module (VRM) and DRAM power supplies for performance and stability. Turbo App: Configures a Turbo App List that assigns network priority, audio settings, and CPU frequencies for specific apps. Energy Processing Unit (EPU): Provides system wide energy management and optimization to reduce fan noise, lower power dissipation, and extend component life time. Figure 2 shows the ASUS AI Suite after the 5-way optimization completes. Notice that the Digi+ active frequency and Turbo App settings have not been turned on yet. This status shown was taken during a LINPACK benchmarking test. Figure 1 shows a video of the BIOS being updated to version 1401 and then being configured. The EZ tuning wizard was run. 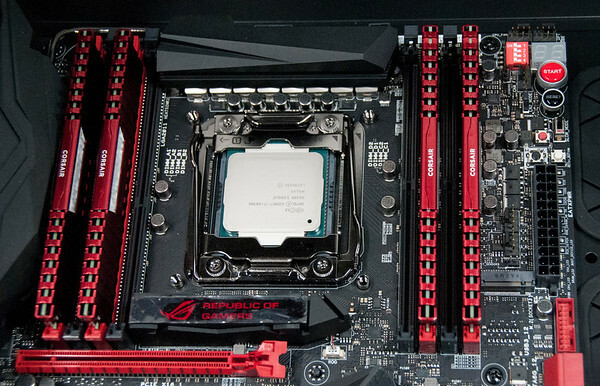 The tuning wizard selected the XMP DDR4-2667 DRAM profile, a 102.0 MHz bus clock, and a 40X multiplier running the i7-5930K cores at 4.080 GHz. At the time I made the video, I incorrectly pointed to the EZ tuning wizard target values as the actual clock speeds. 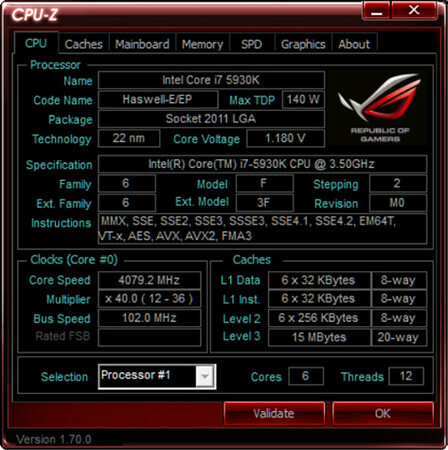 After the BIOS was configured, the ROG CPU-Z provides system information and reports the status of the CPU, caches, motherboard, memory, SPD (XMP memory settings), and graphics card. 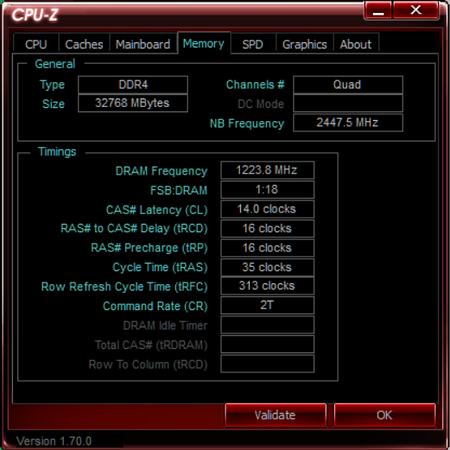 The CPU and memory status are shown in Figures 2 and 3, respectively. The CPU frequency is dynamic to save power so it needs to be running a benchmark to see the maximum core speed of 4079.2 MHz in this case. The memory frequency is 2447.5 MHz. The Intel Extreme Tuning Utility (XTU) benchmark tool was run. 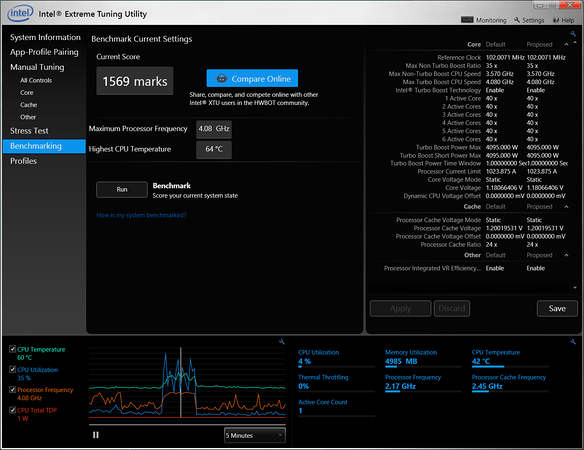 The XTU status panel shows that the maximum processor frequency is 4.08 GHz and the maximum CPU temperature peaked at 64 C (see Figure 4). Once everything was connected and all the connections were double checked, Blackbird15 was booted into BIOS. The BIOS was configured to enable the Intel Virtualization Technology to support Android app development. The OC tuning wizard was run to improve the system performance. The Windows 8.1 install from a Blu-ray disk was easy, quick as I recall, and problem free. After the install, Windows 8.1 booted and the ASUS drives were installed for all the device hardware. The Windows 8.1 install did not load hardware specific drivers. Blackbird15 was rebooted. The machine was tested and applications were installed. Every once in a while Blackbird15 would crash randomly. This was traced to LAN drive bug in Windows 8.1 which was finally fixed with the KB3055343 windows update. Blackbird15 doesn’t crash randomly any longer but it still has trouble waking up from sleep properly even with the hybrid boot option disabled. I’m still looking for a fix for this problem. If I leave the media player running playing music, the system doesn’t sleep so the issue isn’t encountered but it’s not a very energy efficient solution. I need to turn off the sleep function so the screen save actives at some point. The OC Panel has been very useful in monitoring the operation of the processor and motherboard. Most of OC Panel control buttons are on the body of the panel and aren’t accessible so many functions can’t be accessed. I wish there were a few more buttons on the front of the OC panel so that the function could be accessed all the time. 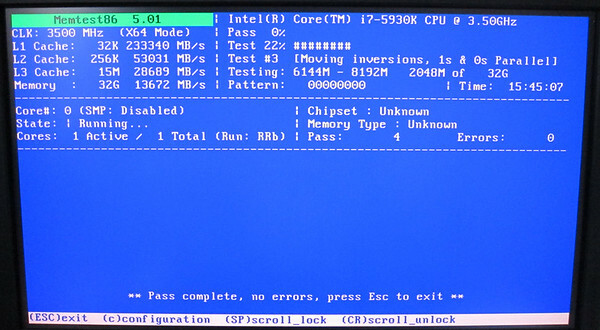 Figure 1 shows the OC Panel in operation during a MemTest86+ test without overclocking. Figure 2 shows a video of Blackbird15 booting and the OC Panel in operation. The fans are very quiet and it is the quietest computer I’ve built. The large 140 mm fans and the fan controllers are really good at minimizing fan noise even when the processor is running at ~200 W.
Figure 3 shows Blackbird15 hybrid booting again to so show how fast the system boots. I put the camera down to enter the windows password and the picked it back up after entering the password to follow the boot sequence LEDs on the motherboard. It boots in under a minute if there are no USB devices to slow it down. Some of my USB devices are very old. 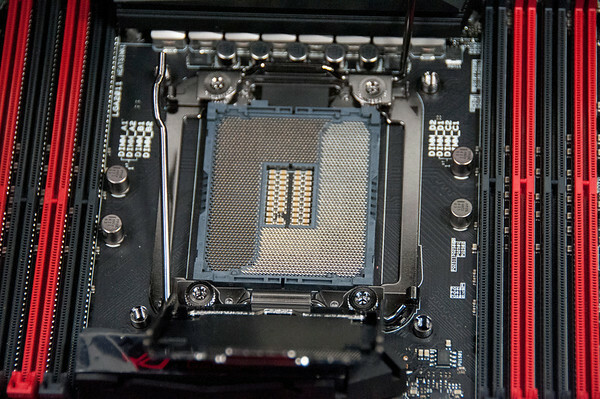 The ASUS Overclocking (OC) Panel was inserted into the OC Panel case housing and held in place with two screws. The OC Panel cable and a SATA power cable were attached to the OC Panel rear connectors. 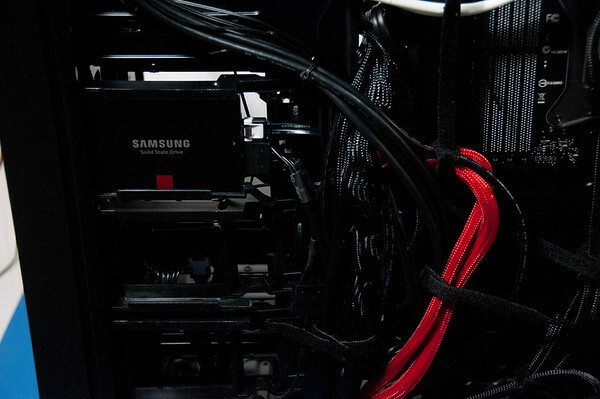 The cables were installed first because it was easier to access the cables before installing the OC Panel into the case. The OC Panel and cables were installed into the top 5.25 inch bay. 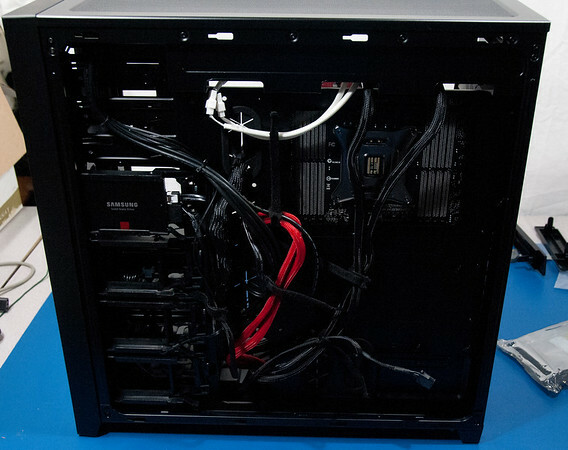 The cables were routed through the right side compartment of the case behind the motherboard down to the bottom case opening near the power supply. The OC Power cable was attached to the power supply and the OC Panel cable was attached to the socket on the bottom right side of the mother board. The OC Panel case housing is half size so the case latches don’t quite latch and hold in place so two screws were used to keep it in place. Next, the Pioneer BDR-2209 Blu-ray drive was installed. A SATA data cable was attached to the drive. 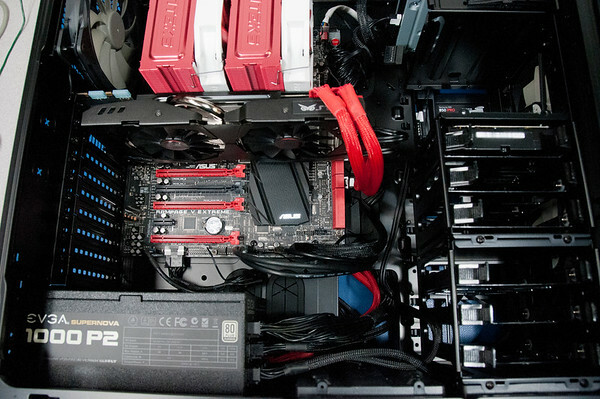 The drive was installed in the second 5.25 inch bay and the cables were routed through the right side compartment behind the motherboard to SATA port 9 on the motherboard. 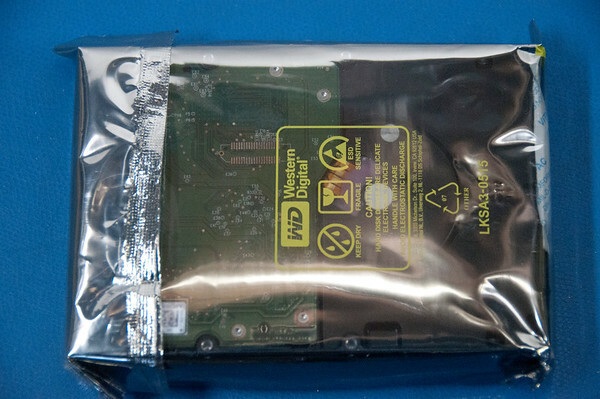 The SATA power cable connected to the OC Panel was also used to power the Blu-ray drive. 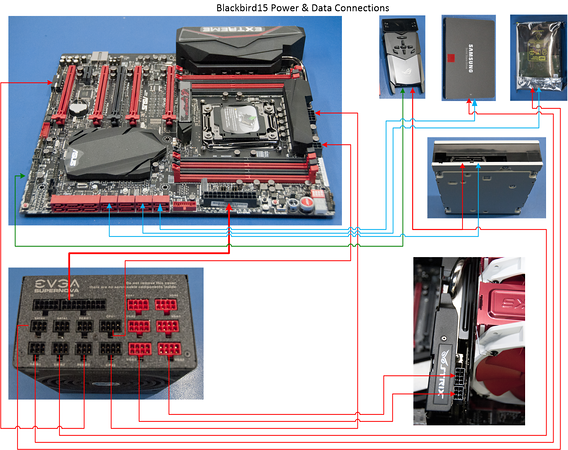 Figure 1 shows a how the various components were connected to the power supply and how the data connection were made to the ASUS Rampage V Extreme motherboard. 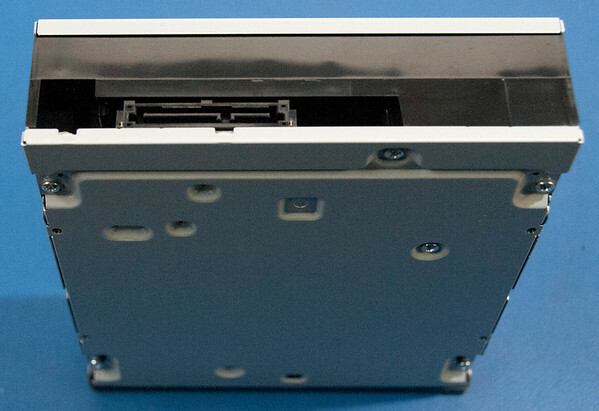 Figure 2 shows the rear view of the Pioneer BDR-2209 Blu-ray/DVD/CD Writer mounted in a 5.25 inch case slot. Figure 3 shows the front view of the Pioneer BDR-2209 Blu-ray/DVD/CD Writer mounted in the second from the top 5.25 inch case slot. The OC Panel can also be seen in the top slot as well. 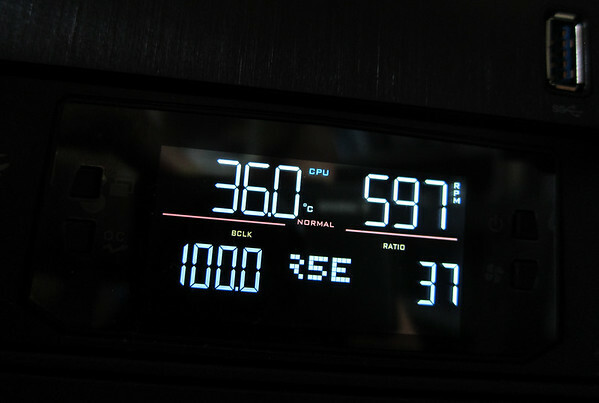 Figure 4 shows the OC Panel display indicating the CPU temperature (36.0 ºC), CPU fan speed (597 RPMs), memory clock speed (100.0 MHz), and the CPU multiplier (37). The photo was talked during the MemTest86+ tests with default BIOS setting (no overclocking). Figure 5 shows the installation video of the OC Panel and Pioneer BDR-2209 Blu-ray/DVD/CD Writer. The video also describes the installation of the thermistors to the sensor connectors. Installing the ASUS STRIX GTX 980 was easy but I forgot to plug the rear case fan cable into the motherboard. I could not hold the fan cable and plug the connector in because of the heatsink and video card blocked up too much area for my hand to fit. I removed the video card and plugged in the fan. The case fan is a three wire fan. 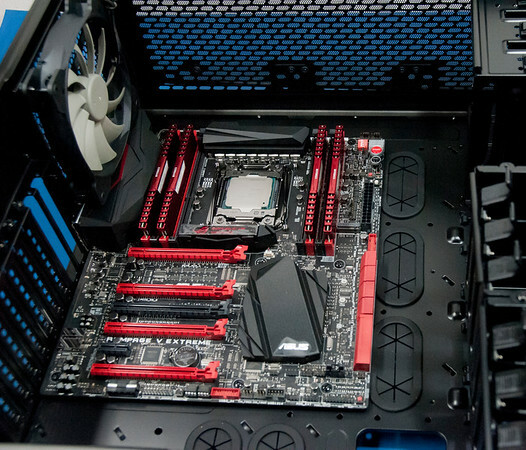 The ASUS Rampage V Extreme (RVE) motherboard supports a total of eight four wire fans. The rear case fan is connected to CHA-FAN3A because the motherboard fan connector is located near the bottom left corner of the fan. Once the fan was connected, a plastic film was removed from the back of the graphics card and it was re-installed. 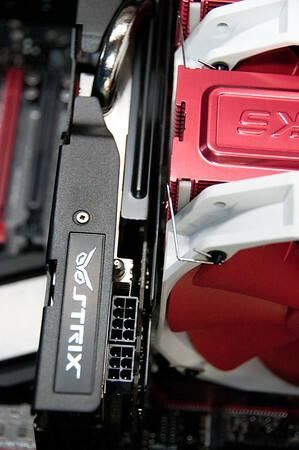 Figure 1 shows the front side view of the ASUS STRIX GTX 980 graphics card with the CPU cooler behind it. Figure 2 shows the top view of the ASUS STRIX GTX 980 graphics card and the CPU cooler. 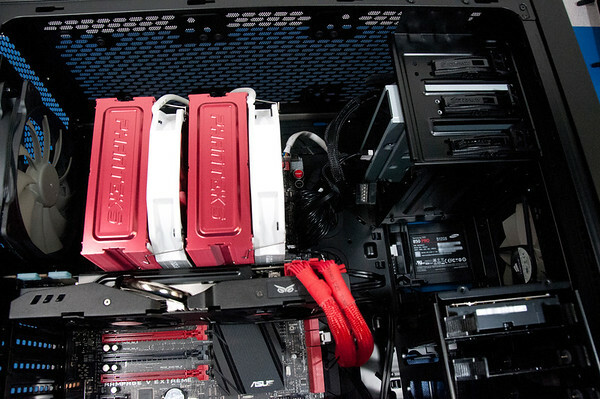 At this angle, the graphics card and CPU cooler look like they touch but they don’t. 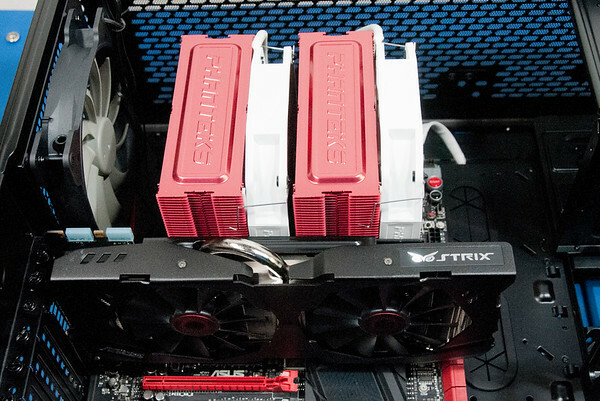 Figure 3 shows the edge view of the ASUS STRIX GTX 980 graphics card and the CPU cooler. Figure 4 shows the clearance between the ASUS STRIX GTX 980 graphics card and the Phanteks CPU cooler. It a close but they don’t touch. Figure 5 shows the installation video of the ASUS STRIX GTX 980 graphics card. Choosing a CPU cooler was the hardest part of the selection process. I probably spent couple of weeks trying to figure out what would fit, was compatible with the CPU, and how much noise the cooler would make. I started by looking at All In One (AIO) sealed water coolers because it would be easier to mount in the case and might be quieter than fans. 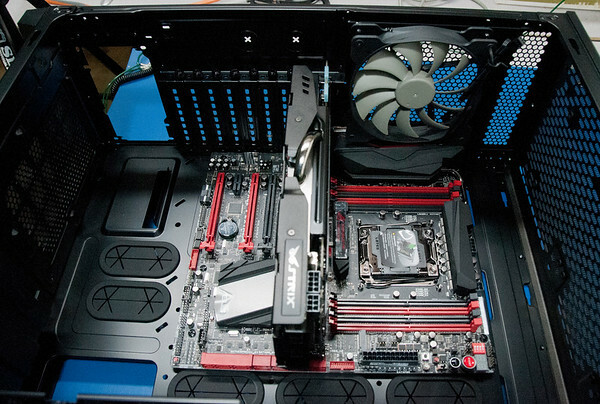 The choice initially came down the Corsair H110i GT and the NZXT Kraken x61. Learning about noise levels was interesting. A quiet room has 30 to 40 dBa noise level and I looked for CPU coolers in this range. Two factors lead me to drop water coolers from my list and consider air coolers only. First, the water coolers are controlled by a USB connection to the computer and the operating system. These coolers require a USB driver to function in order to control them. Many users in general complained about having trouble with getting USB drivers to load at boot and run properly. I felt that his was too complex for a critical cooling function. The second reason was that many users reported that their coolers leaked. This caused other components to short out (video card, motherboard). Reviews and users felt that the water cooler was quiet but the pump noise was annoying. The coolers have a water pump run at between 1000 and 3000 rpm, and apparently these run at a mostly constant rate that some people find objectionable. I have not heard them so I cannot say. 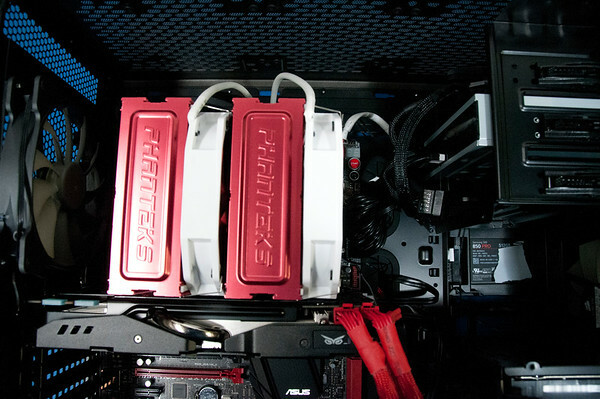 I then considered the twin tower heat pipe coolers form Phanteks PH-TC-14PE and Noctua NH-D14 SE2011. It was really hard to figure out if these would fit. 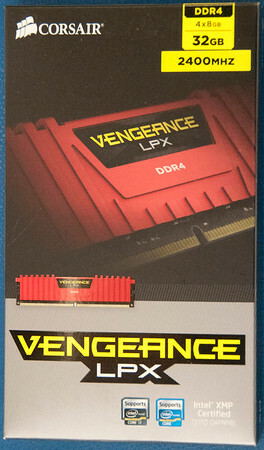 The fans might interfere with the DDR4 DIMMs, or the graphics card or both. Motherboard, memory, graphics card, and cooler vendors don’t publish detailed measurements of their products. The compatibility lists from most vendors are seriously out of date. Sometimes it’s hard to know if the components are electrically compatible too. I selected and purchased the Phanteks cooler without knowing for sure if it would fit, but it seemed to be the most likely big air cooler to fit. It turned out to fit with just enough clearance between the memory and the heat pipes, and the tower fins and the graphics card. 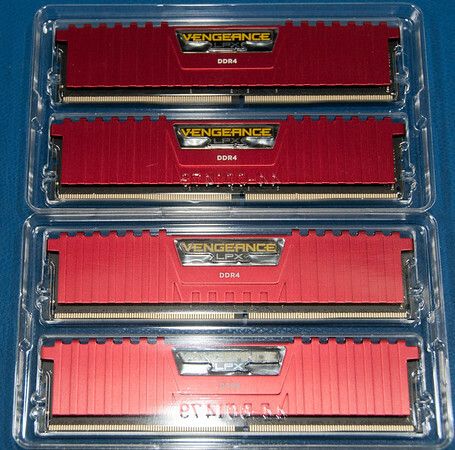 Four of the eight memory sockets are filled, and another set of four memory cards (DIMMS) will fit in the sockets right next to the processor. 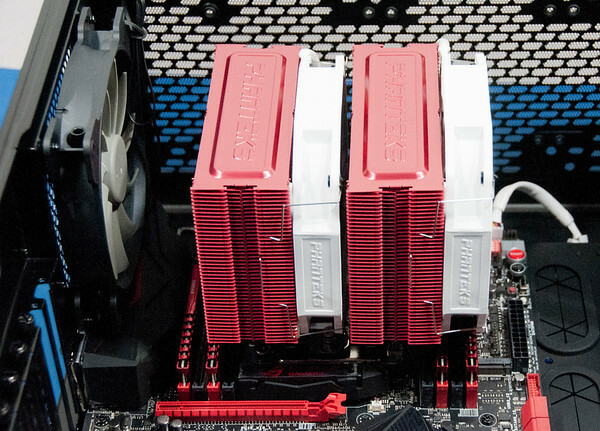 Low profile memory is required when using tower CPU air coolers. The cooler probably needs to come out first before the second batch of memory can be installed, however. The PH-TC14PE is a twin tower CPU cooler that is supplied with two 140 mm fans but can support three fans if needed, and is designed for the LGA 2011-3 socketed processors. 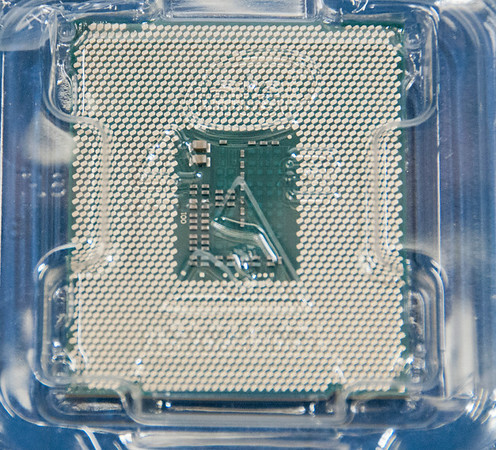 Figure 1 shows the front of the CPU cooler box. 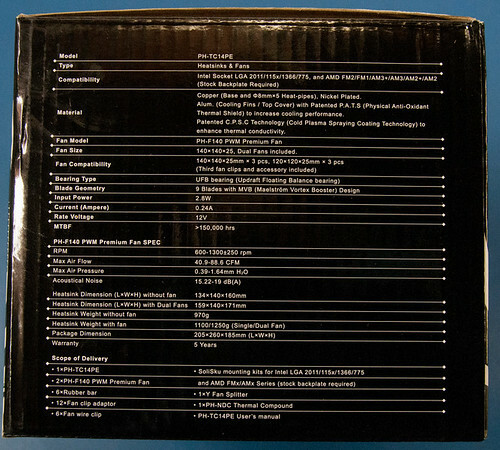 Figure 2 shows the side of the box with all the technical specs for the cooler. 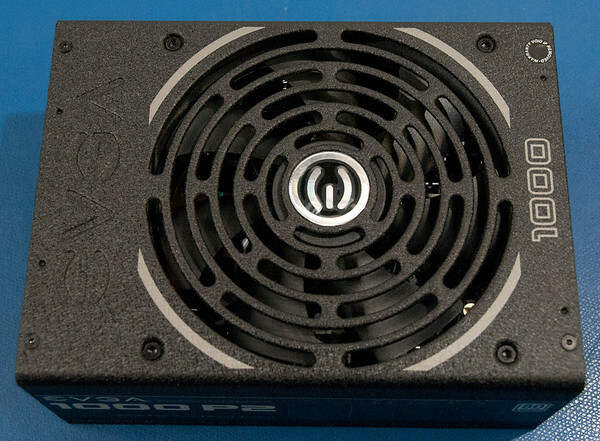 This heat sink is a work of art and it is surprising light for its size. 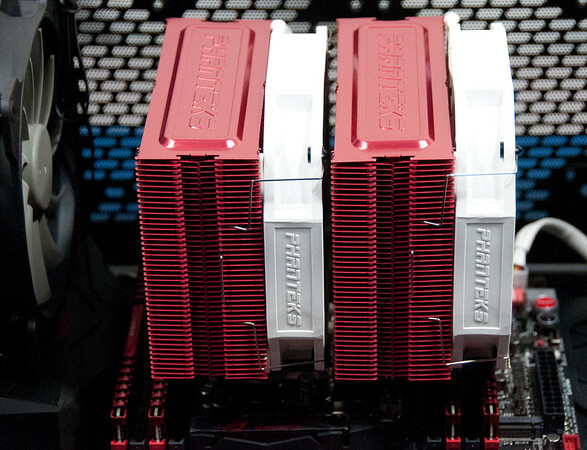 Figure 3 shows the CPU cooler towers with the fans clipped into place. The fans fit nicely and are easy to clip on. 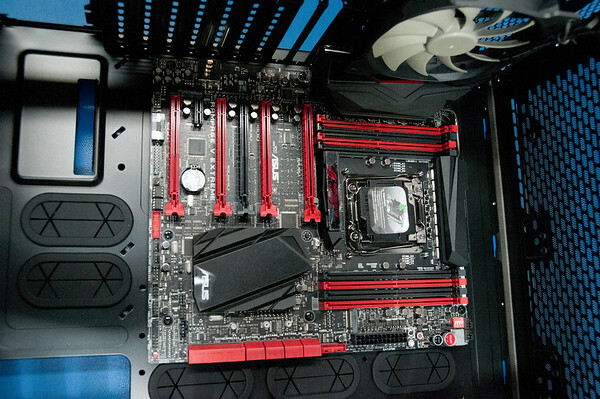 There is room to place the fans so that they do not interfere with the memory DIMMS or anything else near the base of the cooler. Rubber strips are applied to the fan so that the fans clip in securely and don’t rattle, vibrate, or buzz even high rpm. 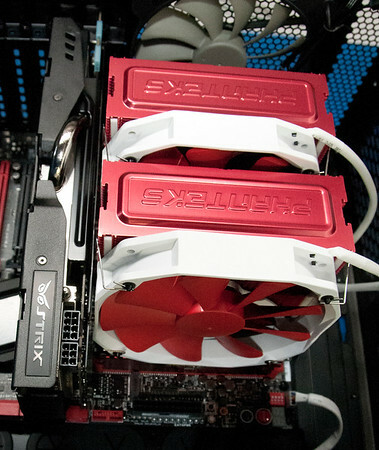 The fans are quiet and typically run round 600 rpm after running the Fan Exper 3 tool as part ASUS AI Suite 3 utility. 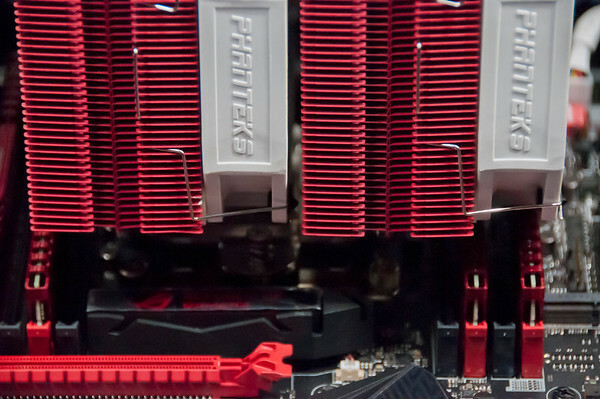 Figure 4 shows the Phanteks base and heat pipes. 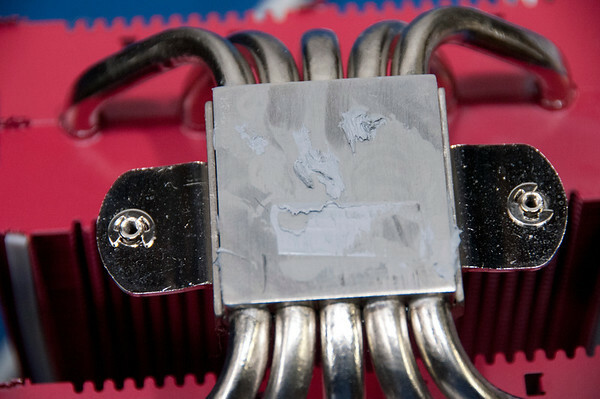 The base is covered with Thermal Interface Material (TIM) or thermal compound. The surface of the base had some adhesive from the protective plastic cover that took a while to remove with alcohol. Also, the cooler base was not as smooth as I would have expected. It had visible ridges in the surface. This should have been polished smooth. The TIM was rubbed in with a piece of plastic and then with a gloved fingertip. In the past, I’ve been part of small team developing high power thermal management solutions for a power supply. This involved designing heat sink and selecting a TIM so that a FET could dissipate over 200 W. No thermal pad would permit operation in the safe thermal operation area of the FET. This was a very demanding design and we found that ceramic based TIMs worked the best. I also found coating the heat sink and the FET completely with TIM produced the lowest operating temperatures. 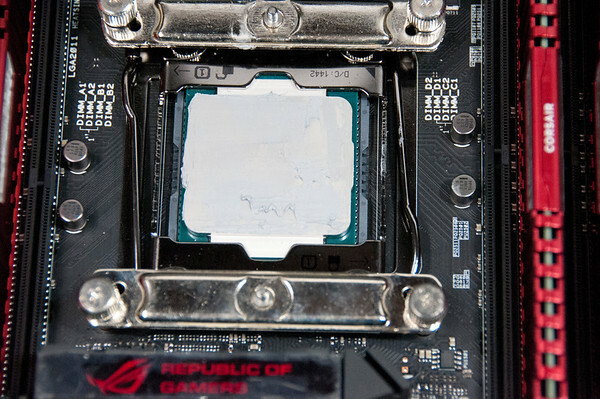 The instructions with the PH-TC14PE direct you to clean the old heat sink compound off and place a 4-5 mm drop of the PH-NDC thermal paste on the center of the CPU before mounting the cooler. I’m concerned that the thermal may not spread uniformly when the cooler is mounted. I used a small piece of plastic to spread the TIM on the CPU and cooler base. I don’t recommend using a plastic “spatula” because the PH-NDC thermal compound stuck to it better than the metal of the processor and the cooler base. The plastic was likely a polycarbonate and could generate an ElectroStatic Discharge (ESD) that could damage the process, motherboard, and memory. I also don’t recommend using a bare finger to spread the thermal compound either, because skin cells are about a micron in diameter and slough off creating large gaps with the 50-100 nm diameter ceramic nanoparticles in the thermal compound. The skin cells increase the thermal resistance between the processor and the heat sink and reduce the limits of overclocking rates. I would use an ESD gloved finger for the heat sink. 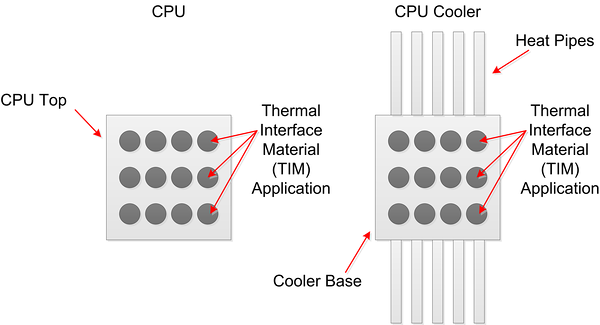 Then I would use a metal “spatula” or a tool made of ESD safe material, or put the TIM down in array of small drops across the CPU and cooler base in the future (see Figure 5). 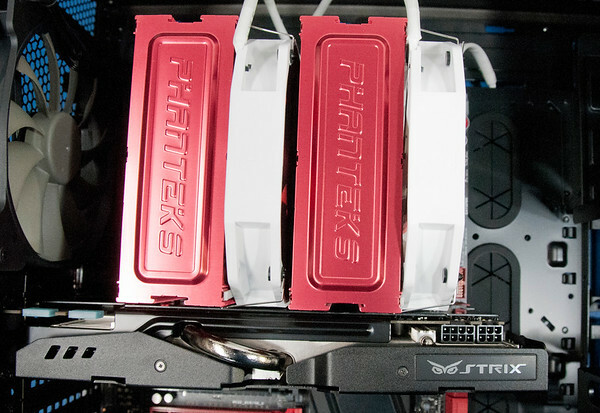 Figure 6 show the clearance between the Phanteks PH-TC14PE CPU Cooler and the ASUS STRIX GTX 980 graphics card. A 140 mm CPU cooler is the largest cooler that will fit and clear a graphics card with no components on the back of the card. The color match with the motherboard is also pretty good. 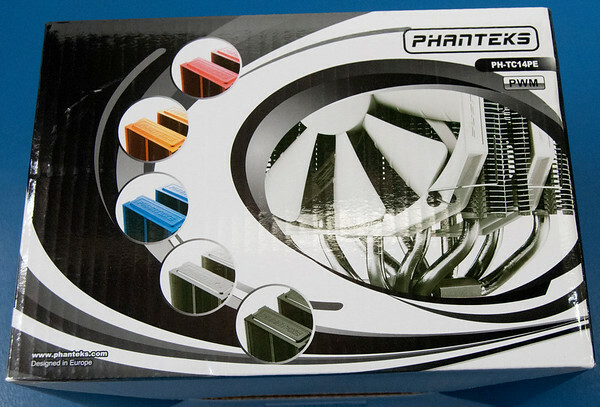 Figure 7 shows the unboxing video of the Phanteks PH-TC14PE CPU cooler. During my LINPACK tests, I recorded the ambient temperature, temperature rise, and processor power dissipation reported by the ASUS AI Suite 3 utility. With this information, the thermal resistance of the heat sink can be computed as Rth=(Tj-Tc)/P where Tj is the junction temperature of the processor, Tc is the ambient temperature, and P is the power dissipated by the processor. This yields an estimate of the thermal resistance at Rth=(87 ºC-37 ºC)/200W=0.25 ºC/W which is in the range of 0.25 ºC/W to 0.39 ºC/W for air CPU cooler according to some reviews. This would indicate that my thermal compound application was done well, and the roughness in the surface of the base of the cooler still provides relatively low thermal resistance. Phanteks does not provide a maximum recommended Thermal Design Power (TDP) for the PH-TC14PE, but it seems to handle the 200 W load well. 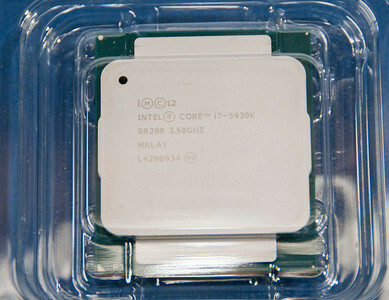 Intel indicated that their processors run fastest with junction temperatures below 80 ºC. The thermal resistance of all CPU air coolers limits the maximum processor power dissipation to keep the processor junction temperature at the optimum point. Thus to overclock the processor even further, it would seem that an AIO liquid CPU cooler would be needed. AIO liquid cooler have a thermal resistance that ranges from 0.08 ºC/W to 0.12 ºC/W according to measurements in some reviews. 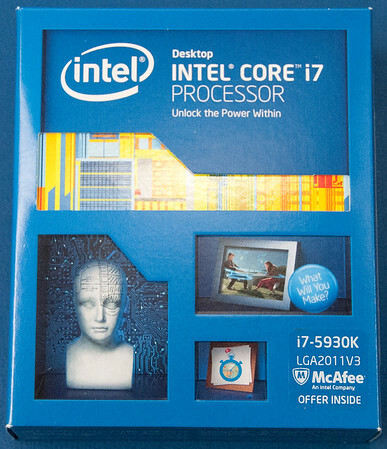 Some reviews also show the i7-5930k dissipating 352 W when overclocked at 4.55 GHz which would produce a processor temperature rise of 35 ºC using a water cooler and would keep the processor junction temperature at 72 ºC even on my hot 37 ºC summer day. Clearly, this would be a good upgrade path once the water coolers become more reliable (no leaking allowed), and provide simpler controllers (no USB drivers needed on boot). Still, the PH-TC14PE was easy to install, runs very quietly, allows for a reasonable level of reliable overclocking, and provides a good value. I’m still scratching my head over the Blu-ray format and how it beat out the HD-DVD format to become the standard. At the time, there were not many Blu-ray players or drives to choose from, they were very expensive, and recordable media was slow and expensive. According to Wikipedia, the Twentieth Century Fox adopted the Blu-ray Disk because of the BD+ anti-copying system in 2007. Then, in 2008 Warner Bros said it would only release movies on Blu-ray. Retails said they would drop HD-DVD formatted movies. Toshiba ended production of HD-DVD shortly after. Seven or so years later, we have many internal drives to choose from made by ASUS, LG, Pioneer, Lite-On, and Sony, for example. The medial is still relatively expensive, however. Since its introduction, read/write speeds have increase with the different versions of the Blu-ray Recordable (BD-R), and Blu-ray Recordable Erasable (BD-RE). Drive speeds include 1x, 2x, 4x, 6x, 8x, 10x, 12x, 14x, 15x, and 16x. The data rate begins at 36 Mb/s and reaches 576 Mb/s for a 16x drive. The data rate can be calculated as DR=n * 36 Mb/s where n is the drive speed. A 15x drive would have a 15 * 36 Mb/s or 540 Mb/s data rate, for example. Blu-ray disks can be single, double, triple layer, or quad layers that support capacities of 25.0 GB, 50.1 GB, 100.1 GB, and 128.0 GB, respectively. The 25 GB and 50 GB BD-R media can be written at speeds of 2x, 4x, and 6x today. 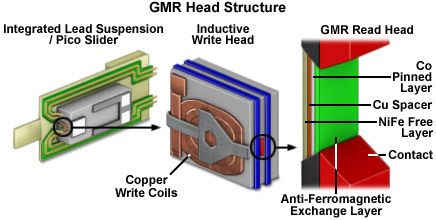 The 100 GB and 128 GB BD-R media can be written at 2x and 4x. Expect higher density disks in the future to add more layers. Table 1 shows a summary of the BD-R media costs for 25 GB, 50 GB, and 100 GB capacity disks. The cost per disk and cost per GB is also shown. The cost of DVD-R disks, flash sticks, the 2TB WD RE hard drive, and 512 GB Samsung SSD are also shown for comparison. The cost of the 25 GB and 50 GB BD-R media per bit is cheaper than most anything except a large hard. The 100 GB media is still quite expensive. DVD-R disks are cheap but due to their limited capacity don’t compete well with 25 GB BD-R and some of the lower cost 50 GB BD-R disks. USB flash drives are still more expensive but rewritable and the SSD is the most expensive on a cost per bit basis. Having long a low cost durable storage media that can be stored off site and without transferring it to a third party is very useful. 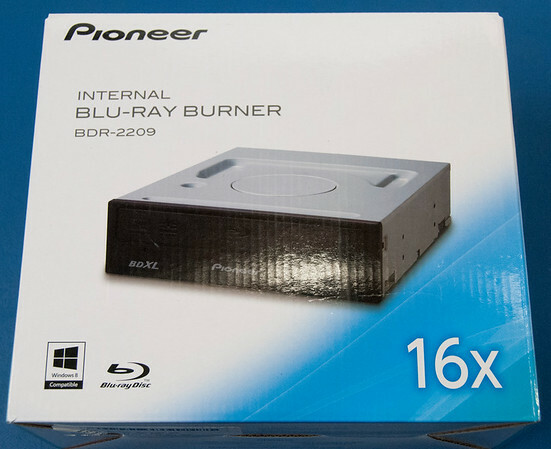 The Pioneer BDR-2209 Blu-ray/DVD/CD writer is a kit that contains a BDR-209UBK 16x drive, Media Suite 10, a blank disk, a power cable, and SATA III cable. 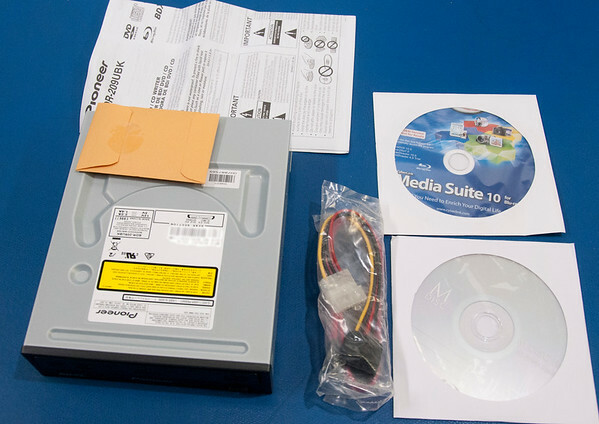 The Media Suite 10 contains PowerDVD 10 for watching Blu-ray disk, Power2Go 7 for backing up your hard drive, and PowerDirector 10 for making HD Home movies. The read/write speed of the writer depends on the media being used. 25 GB BD-R disk can be written at 16x, 50 GB disks can be written at 14x, and 100 GB disks can be written at 8x assuming there are disks that can be written at these speeds. The drive read write speeds is way ahead of the available media. The fastest write speed I’ve found is 6x. 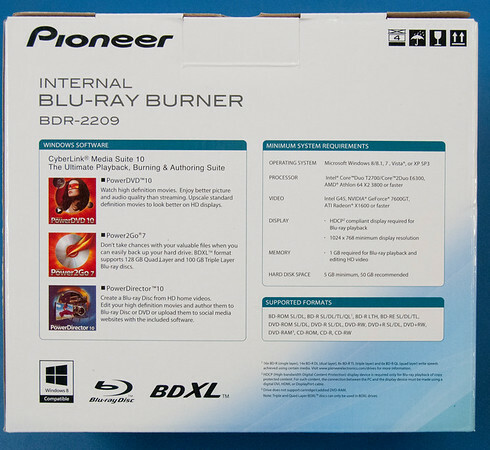 Figure 1 shows the front of the box of Pioneer BDR-2209 Blu-ray/DVD/CD writer. Figure 2 shows the back of the box and lists the software and computer requirements needed for the writer to function properly. Figure 3 shows the front of the drive. Figure 4 shows the back of the drive and the SATA III and power connectors. 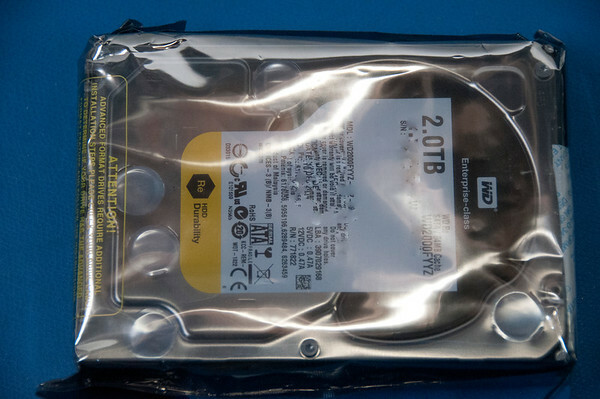 Figure 5 shows the contents of the box contains the drive, one 25 GB BD-R disk, and cables. 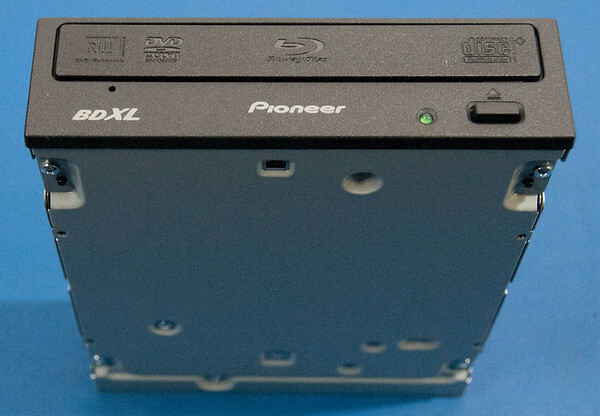 Figure 6 shows the unboxing video of the Pioneer BDR-2209 Blu-ray/DVD/CD writer. Pioneer BDR-2209 Blu-ray/DVD/CD writer was easy to install and use. It has worked very well. It was used to install Windows 8.1 64 bit without any issues. It’s read all disks provided with the hardware in this system, and was quick and quiet accessing files. It’s also been easy to attach as a drive to Windows XP running as a virtual machine in VirturalBox. I have not tried to write a disk yet so can’t comment of the write feature. The ASUS Rampage V Extreme (RVE) supports one 4xPCIe 3.0 M.2 SSD interface. I can image Moss from The IT Crowd calling it flipping fast. The M.2 interface provides 32 GB/s transfer rates which is a little more than 5 times faster than the SATA III interface (6 GB/s). 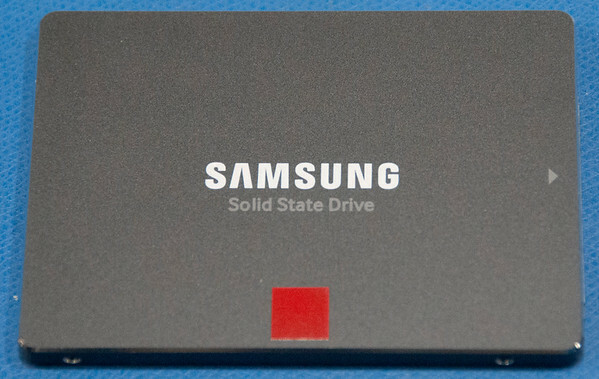 I’m fascinated by the idea of a Solid State Drives (SSD). There are no moving parts, no head crashes, no vibrations to make the case buzz, they’re low power, and they are flipping fast. I really wanted the M.2 4xPCIx 3.0 SSD card for this build. Unfortunately, the M.2 3.0 version wasn’t available when I started buying components for the system. It was to be available in a few months but I could not wait plus the new M.2 v3.0 SSDs were predicted to be very expensive. Thus, it will have to be an upgrade sometime in the future. I selected a 512 GB Samsung 850 PRO SSD instead. The 850 Pro is still fast and is so fast that the SATA III interface seems to limit its performance. The 512 GB 850 Pro was the fastest SSD when it was introduced. It contains a controller and 3D Vertical NAND Flash memory. The only SSD drives that are faster are the PCIe based SSD drives (see the link to the review at Toms Hardware for performance charts for comparisons to other drives). The 850 PRO SSD is well made, light weight, and has a 2.5 inch form factor. Figure 1 shows the front of the 850 PRO box. Figure 2 shows the top of the 850 PRO drive. 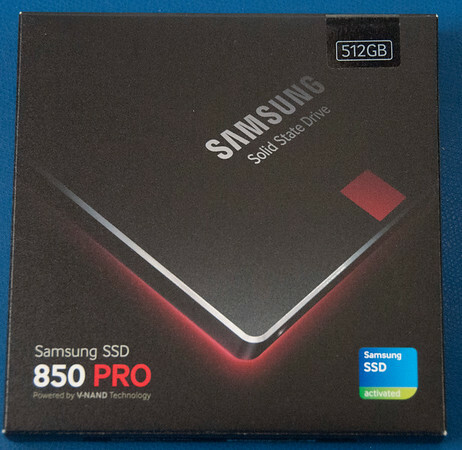 Figure 3 shows the unboxing video of the Samsung 850 PRO SSD. Samsung provides the Magician software used to setup and monitor their SSD drives. It has a benchmark tool and Table 1 shows the performance difference between the 850 PRO SSD, a WD RE 2TD hard disk, and a Seagate Barracuda ES.2 hard drive. Each drive is connected a SATA III ports on the RVE. The 850 PRO is significantly faster than the hard drives on all measures. It is, however, significantly more expensive. The 512 GB 850 PRO was $289 as compared to the 2 TB WE RE drive which cost $150. The SSD is $0.56/GB whereas the hard drive is $0.07/GB. My budget would not support using SSDs to storing all my photographs and video files. So, I opted to use the SSD card to run the OS and application, and use the hard disk(s) for user files. 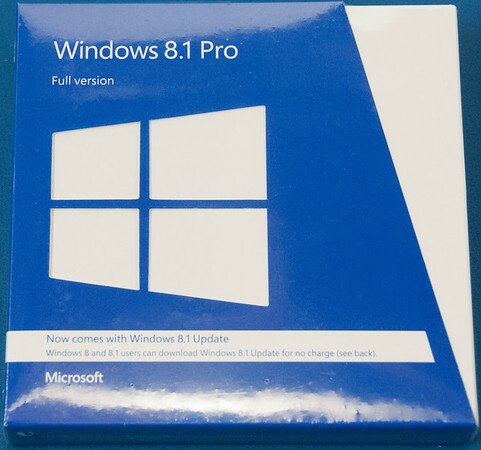 Windows 8.1 loads very quickly even with the fast boot option disabled as a result of the high speed data transfer rate from 850 PRO. Applications also load very quickly too. Separating the OS and user file between two different drives, however, creates a problem for Windows 8.1. If you redirect user files to another disk, Windows 8.1 objects and if you force it then you could be blocked from upgrading Windows 8.1 in the future. I restored the user files to the default directory and use a manual workaround to use the hard drive(s) for my user files by defining library links for quick access to my files. It works well but I wish that the library directories would stay open like C: drive directories to reduce the time it takes to locate files. SSD is a great technology but the flash memory wears out after a certain number of writes. 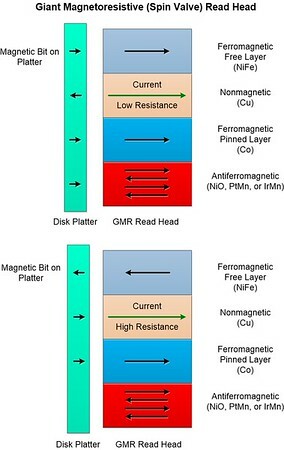 Flash memory uses floating gate transistors to store data and a planar floating gate transistor is illustrated in Figure 4. When the floating gate contains a charge, a channel forms between the source and drain, and the transistor turns on. When there is no charge on the floating gate, no channel forms and the transistor is off. To program the transistor, the drain is held at ground and a high voltage is placed in the control gate. Charge tunnels through the gate oxide between the drain and control gate so that the charge accumulates on the floating gate. To erase the charge, the control gate is held at ground and high voltage is applied to the drain. Charge on the floating gate tunnels through the gate oxide away through the drain. After repeated programming and erase cycles, the gate dielectric becomes leaky due to trapped charges that accumulate in the gate oxide. The Samsung 3D V NAND had improved on the planar floating gate design significantly by using a 3D floating gate structure that stores three bits per cell. The flash controller writes data across the memory to distribute writes to keep the average number of cell writes as low as possible to reduce wear out. The 512 GB 850 PRO is rated at 300 TBW (TeraBytes Written). Samsung also states that the drive has a 2 million hour Mean Time Between Failure (MTBF) which is 1.6 time more than the 1.2 million hour MTBF for the 2TB WE RE. In theory, this SSD drive should be more reliable than the hard drive. I’m hopeful but skeptical as I’ve had at least three enterprise grade Seagate drives fail in under 3 years. If all goes as stated in the datasheet, the drive should last 10 years. With a 300 TWB, I could write 82 GB/day for 10 years before the drive failed. Samsung Magician reports that 3.77 TB have been written as of today (133 days) which averages out to about less than 29 GB/day so this is a very good sign of long life reliable drive. A. Hastings, The Art of Analog Layout, 2nd Edition. Upper Saddle River, NJ: Prentice Hall, 2005 (see pages 467-474 on floating gate transistors and EEPROM memory). Many components topped my selection list as a result of one or more great reviews, but then got dropped from consideration as a result of reports of high failure rates, or if failures caused other components fail. I looked at the ratio of the number of 1 star rating to the total number ratings for a quantitative estimate of the products failures. The Corsair AV860i Power Supply Unit (PSU), for example, initially topped my list for a PSU, but had a lot of complaints of failures and users reported their motherboards and graphics cards were damaged when the supply failed. I became interested in this supply initially because of the monitoring software that could be used to monitor their power supplies, water cooler and memory products. I thought that this would be helpful when overclocking, monitoring, and maintaining the computer over time. 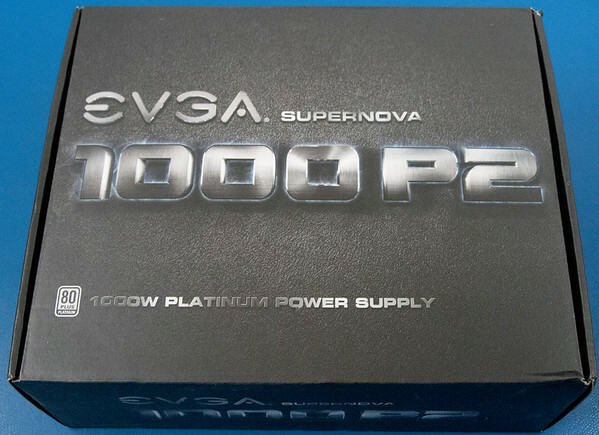 Because of the high estimated reports of problems, I opted for the EGVA SuperNOVA P2 1000 power supply instead. It got great reviews and had some of the fewest complaints by users. 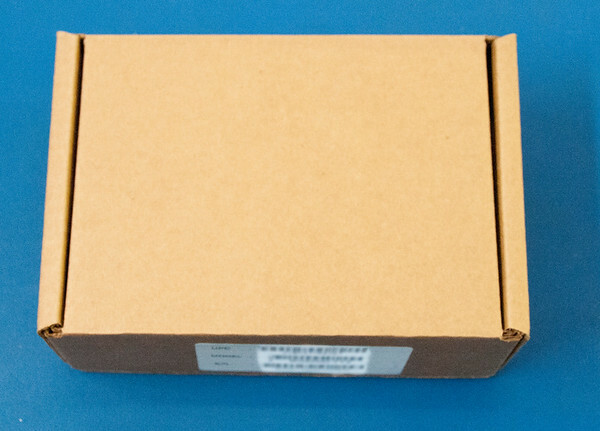 Figure 1 shows the front of the box package. The packages is surprising heavy. Figure 2 shows the back of the box that describes some of the features, the included cable, and a fan speed profile. The fan runs at 0 RPM until the operating temperature reaches 55ºC and then fan speed jumps to 750 RPM. 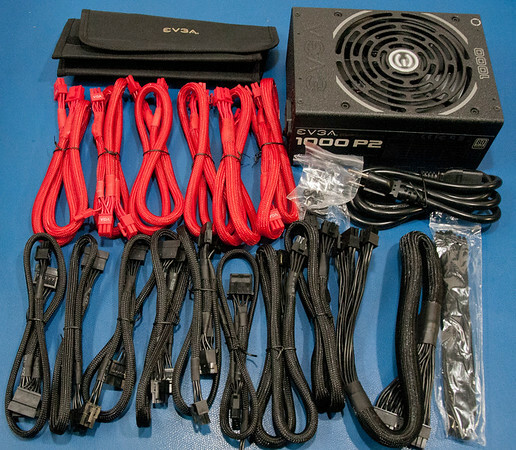 Figure 3 shows the contents of the box which includes an installation manual, a storage case for unused cables, cable ties, and 15 well-made power cables. Figure 4 shows the side of the PSU with the labeling and ratings. Figure 5 shows the 140 mm fan. Figure 6 shows the connectors for SATA devices (4), peripherals (2), the CPU (2), and graphics cards (6). 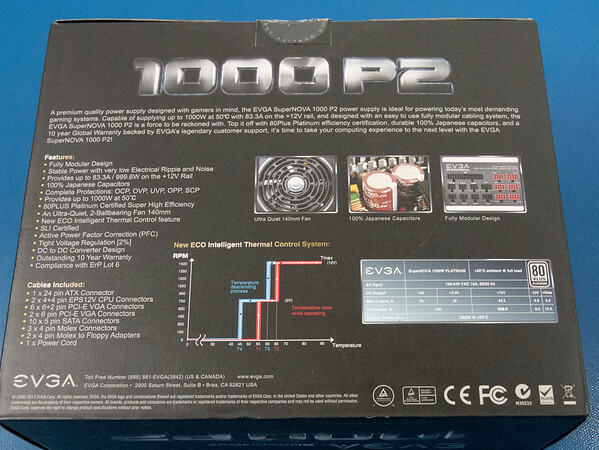 The EGVA SuperNOVA P2 1000 PSU unboxing video is shown in Figure 7. I cannot tell that the PSU fan is running over the very quiet CPU fan since it was install and has been silent during normal operation, but the systems does not put much of a load on the supply with just one graphics card. Normally the computer (Blackbird15) draws only about 80 W during routine use and especially when the VRM Digi+ motherboard power control is active. The CPU frequency and power are dynamical controlled for power efficiency. 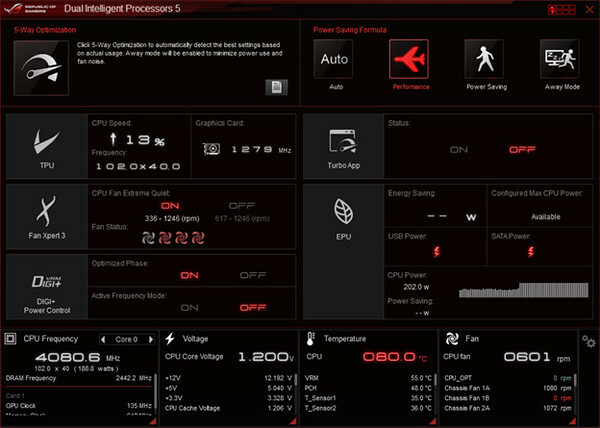 The CPU can dissipate power as low as 18 W as reported by the ASUS AI Suite software. Normally, the CPU runs at 33 to 35ºC depending on the average temperature 27ºC (∆T=6 to 8ºC). 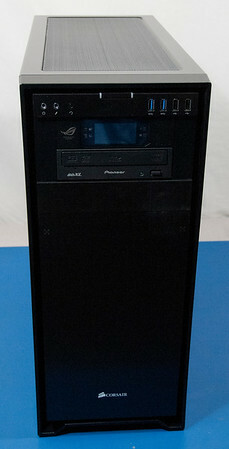 The power is measured and displayed by the UPS connected to Blackbird15. The LCD monitor and other peripherals are on another UPS. To load the PSU, I run the Intel Linpack benchmark and Blackbird15 draws 275 W during a long calculation measured when the CPU reaches a peak temperature of 80ºC (∆T=53ºC). The power peaked at 284 W. To produce a larger more continuous power demand, I ran Witcher 3: The Wild Hunt along with ran Prime95 at the same time. I delighted to see Witcher 3 still ran smoothly even while Prime85 was also running. The Prime95 torture test calculates prime numbers on all 12 processors (6 cores, 12 hyperthreads). The power dissipation increased to 428 W, the CPU temperature ran at 75ºC, the GPU usage went to 99% and the GPU fans ran at 54%. The overall computer fan noise increased a little and I’ve mistaken the GPU fans running for a slight increase in CPU fan noise. During this test, I could not tell if the PSU fan was running. 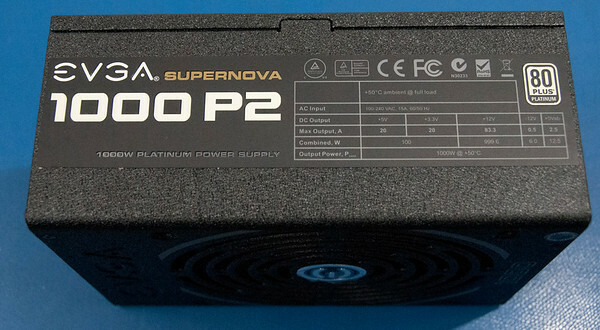 The SuperNOVA PSU provides a 1000 W combined output from five outputs: +3.3V, +5V, +12V, +5Vsb, and -12V. The unit is a 80 PLUS Platinum rated power supply so it maintains a minimum 92% efficiency over the entire output/load range. Most power supplies have their maximum efficiency at the maximum load so power is wasted at light loads, but not with this power supply. The computer will run with good power efficiency even though it typically runs at less than 10% of the maximum load. Even running Witcher 3, Prime95, playing music, and the Firefox browser only produced a 43% load. The only way to really fully load the supply is to add a second graphics card, a Tesla Accelerator, or a Intel Phi card. What I’ve able to gather from third party sources is that the RVE motherboard consumes up to 100 W, memory can consume 25 W, the CPU is rated at 140 W TDP (160 W TPD when overclocked at 4 GHz), the WE RE drive consumes ~10W, 3 W for the SSD, and the GTX 980 consumes up to 165 W. This gives a total estimated maximum power demand of 443 W without overclocking. PC Part Picker estimates my power dissipation at 463 with one graphics card and 958 W with four graphics cards. My 428 W load measurements seem to show a slightly lower and perhaps more of typical power consumption than estimated from these third party. It’s encouraging that the power dissipation is running lower than estimated. 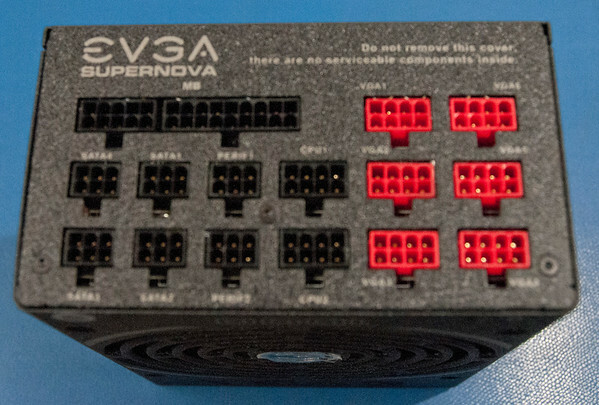 The EVGA SuperNOVA 1000 W should be able to power at least two additional GTX 980 in the future. It’s not clear if I could add a third GTX 980 graphics cards (four in total) without doing some comprehensive power measurements. The RVE motherboard has a nice BIOS options, for example, to permit phone charging over USB 3.0 ports and all though this feature was active nothing was charging at the time of these tests so the power consumption for this feature is missing and unknown at this point. Using desirable features like this would likely push this 1000 W supply to the edge of performance when running four GTX 980 graphics cards and the CPU at full load along with peripherals. I’m looking forward to the learning how it will perform and to the application that requires all that processing power. In all, it’s been a stable and quiet supply with a great build quality.